Hong Yuen @ SICC has closed down but if you are missing their roasted meats you can still get them from Bukit 19th hole- at a much more affordable price too. 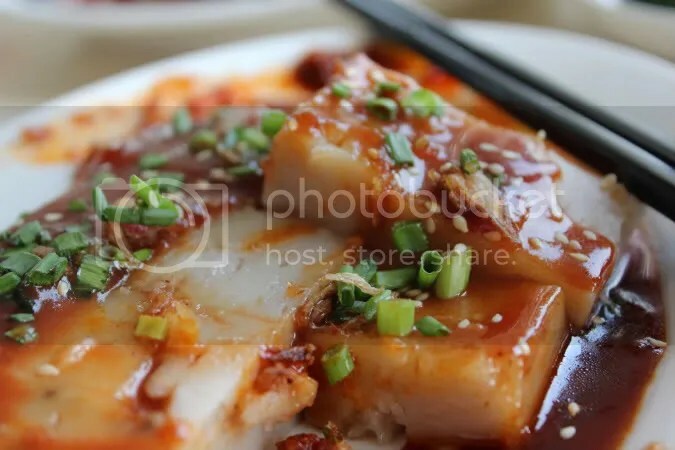 They have a nice set offer going on now, white rice served with achar (pickles) and a trio of roasts consisting of roast duck, roast pork (siew yoke) and char siew. The char siew was out-of-this-world, mindblowingly yummy! okay, maybe this is because I’ve been deprived of proper food for the past week. It’s firm with beautifully charred corners and oh, what a delicious glaze it had! I like the fact that it was sweet with all that honey and hoisin sauce but yet nicely balanced with soy such that neither flavour, salty and sweet, overpowered each other. The pork itself was, as aforementioned, firm not limp and had a great bite to it. 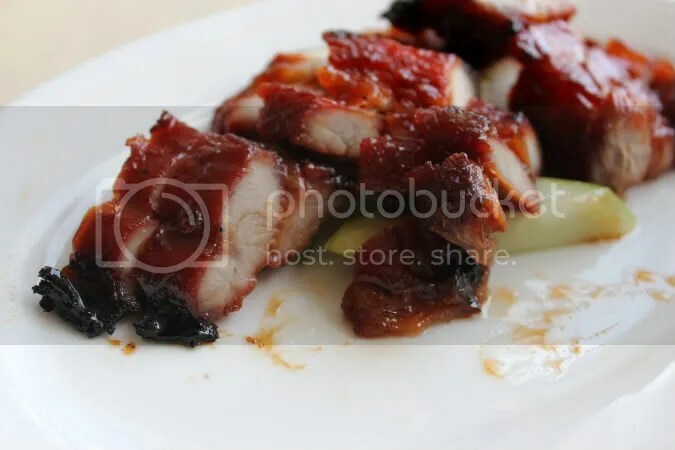 Dad ordered a plate of char siew to satisfy our cravings since the little portion on his plate was simply not enough. Another must-order for me is the yam cake. What sets it apart from the usual are the chunks of yam embedded in the smooth yam cake. They remind you that yes, you are eating yam cake and not just … steamed cake made from rice and wheat flour. To end it all, go for their ice kachang. They serve one of the best in my humble opinion!